What is the reason why many providers lock mobile phones and iPhone? The reason is quite simple – they offer their clients to get iPhone at a lower price (than on the market), if they sign up for a contracted period. Contracts clients have to sign up with their network providers may last more than a year (commonly between one and three years), and the initial price of a mobile phone or the iPhone usually depends on the length of the contracted period and the chosen monthly package. However, there are some ways to unlock your iPhone, some of them better or worse than others. IMEI Unlock is official factory unlock for the iPhones, no matter which baseband version, model or iOS version is. Unlocking iPhone and mobile phones industry has becoming increasingly popular and therefore, it is the industry the same as others. You can find genuine company and this way you will get a genuine service, while at the other hand, there are companies that are not genuine. There are many iPhone and SIM unlocking websites, so before paying for their service, read their wording and advertizing. This is important because you should avoid being confused. Software unlocks might be quite limited and certainly have difficulties to unlock some of the new iPhone models, but there are certainly those software unlocks showing effectiveness and efficacy. So, before purchasing any service, be sure to read everything written on the website and look for some customers’ and clients’ reviews. This is the way to avoid purchasing unlocking service that simply will not unlock your iPhone. It is important to find the unlocking service that will unlock your iPhone temporarily, safely, simply and easily. 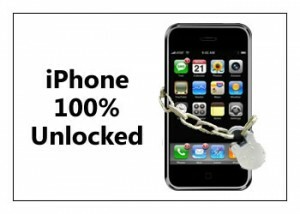 Look for the money back guarantee in case unlocking turns to be unsuccessful or if some functions of your iPhone does not work after unlocking process.